Google quietly released its own protective cover for the 2013 Nexus 7 in the United States. The Google-branded case is currently available for purchase directly from the Play Store. The Nexus 7 (2013) Case is the first tablet cover designed by Google specifically for the slate. The cover differentiates from the official ASUS-made accessories by sporting a Google logo, as well as a cool-looking flag adorned in the search giant’s signature red, blue, yellow and green colors. The tablet is custom–molded to perfectly fit the latest Nexus 7. It features as a microsuede cover and built-in stand. 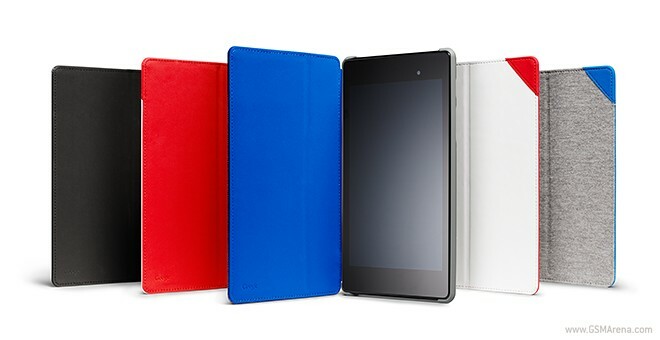 The Nexus 7 (2013) Case is available in four different colors for $49.99.